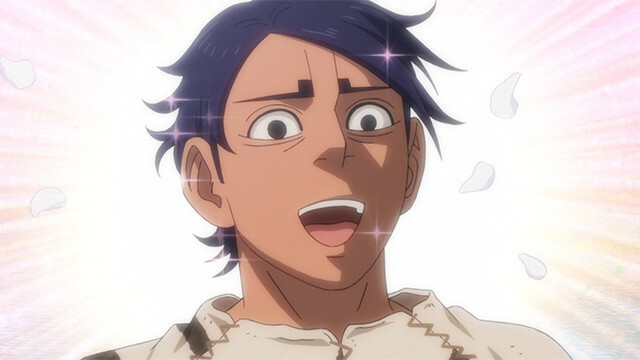 We’ve discussed before what type of anime Golden Kamuy is, but did you know it’s the best harem anime in years? We’ve talked in the past about what type of genre Golden Kamuy falls into, how it uses historical information to fill in its realistic setting and presenting authentic food culture and recipes, and even how authentic it is at representing judo. Now that the second season has left us with a whole bunch of unanswered questions and plenty of time to think about them. 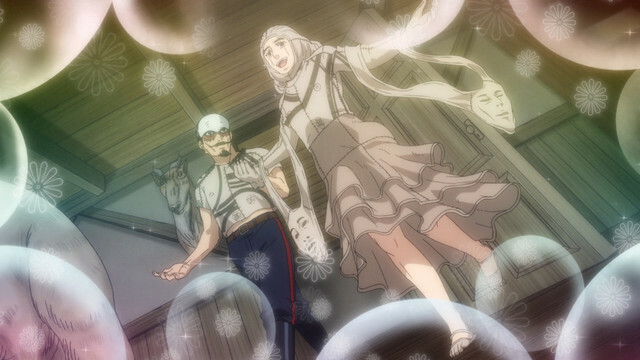 While we wait for news of season three, it’s time to address the elephant in the room: Golden Kamuy isn’t receiving the love it deserves for being the best harem anime in years! It might be easy to miss when you get too caught up in all this talk about Ainu gold and cooking and people shooting at each other, but if you weren’t paying attention, don’t you worry. We’ll tell you all about how Lt. Tsurumi is the harem protagonist to end all harem protagonists, and his gaggle of adoring followers! Your first question is probably: “Wow, how did I not see it before?” And we forgive you for not realizing how amazing and handsome Lt. Tsurumi is. 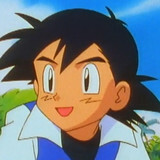 From his charming demeanor to his dashing looks (complimented by his headplate! ), Lt. Tsurumi is a total package. It’s difficult at first to understand the devotion of the 7th Division if you don’t realize that they’re all in love with the man in charge, and Tsurumi dotes on his followers with equal measures of love and discipline. 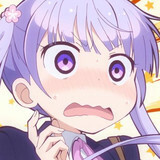 A harem anime protagonist is usually weak-willed and unwilling to admit their joy at being the center of so many cute boys' and girls' attentions, taking ages to make a decision about which of their suitors to settle down with, if they ever make a choice at all! 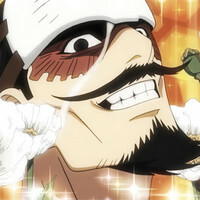 But Lt. Tsurumi surpasses them all with his decisive and strong-willed ability to make choices, making the 7th Division a welcoming and warm home for everyone willing to follow him and achieve his dream of seeing Hokkaido (and eventually Japan) united under his control as a military force to be reckoned with. When we first meet Lt. Tsurumi, we only see him from the perspective of Sugimoto, a man who is unfamiliar with who Tsurumi really is. He comes across as a cold and calculating killer, a ruthless person willing to do anything and everything to achieve his goal. As the series goes on, we find that Lt. Tsurumi is indeed ruthless, but much of that comes from his love for his followers and his willingness to do what he can to help give them purpose and success in life. As the war that gave them purpose and united all of them is over, Tsurumi feels it is his duty to ensure that all of his men continue to feel useful, needed, and most of all respected by a government that seems all too willing to ignore them now that they're not immediately needed. Tsurumi’s band of soldiers might seem odd or quirky at first, but that’s simply because Tsurumi has allowed them to blossom and show their amazing, unique personalities aside from just being faceless soldiers in uniform! After the death of General Hanazawa, the 7th Division were treated as outcasts and forgotten by the Japanese government, given no recognition or medals for their service; Tsurumi, seeing the unjust nature of such actions, made sure that the 7th Division would rise to greatness, welcoming any who would serve to his side. But to be the head of a harem anime, you obviously need a harem of eccentric, archetypical characters who are all fighting each other for the affection and attention of the main character. 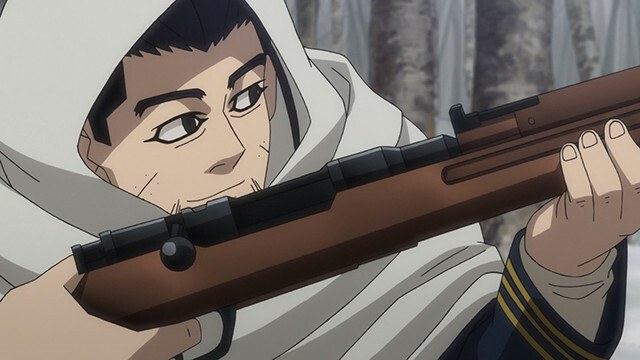 Golden Kamuy is no slouch in this department, as the soldiers of the 7th really fill out all the roles you’d expect! 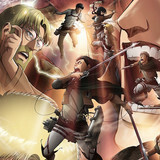 Each member is unique, and even competitive, in their interest in the man at the center of the action. Not only that, but some characters end up in Lt. Tsurumi’s orbit by coincidence, finding him simply irresistible (as you should), joining in on the fun themselves. 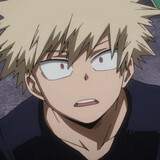 First on the list is Tsukishima Hajime, who makes his appearance in season 2. 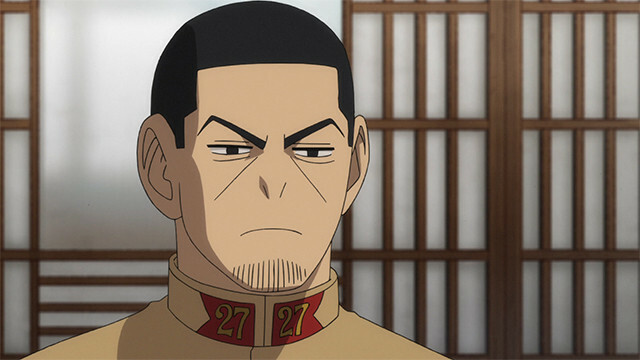 Tsukishima is the “straight man” character of Golden Kamuy’s weirdness, to the point that he fulfills that role both in his harem role and outside of it. Tsukishima is the most “normal” of the 7th Division, simply carrying out the orders given to him by Tsurumi and ensuring that others do as well. Tsukishima might be the oddest of the whole bunch, simply because none of the weirdness going on around him seems to phase him; if Tsurumi wants it, Tsukishima will make sure he gets it, even if it involves skinning people, working with a man who makes clothes out of corpses, or simply just dealing with the rest of the 7th’s weirdos! At the opposite spectrum of Tsukishima is Nikaidou Kouhei. 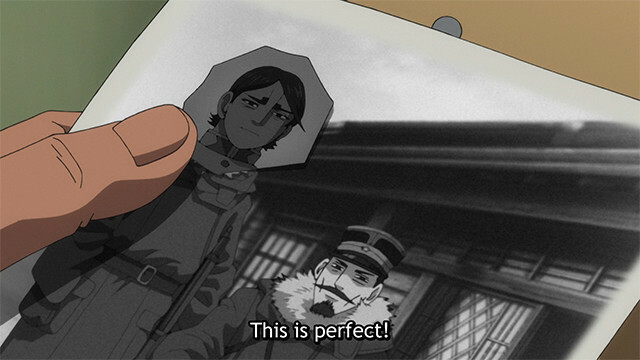 The Kouhei twins started Golden Kamuy as eccentric soldiers, but following the death of his twin and his betrayal of Tsurumi, Nikaidou has spent much of season 2 obsessed with killing Sugimoto, and becoming less and less in touch with reality. A violent and dangerous man with nothing to lose, he’s the most rambunctious of Tsurumi’s followers, as he barely seems interested in anything but killing Sugimoto at all costs, and acts more like a crazed hunting dog than he does a human being. In some regards, he may not even care much about Tsurumi at all, but Tsurumi seems to be the only person who can (somewhat) control him, and he even brings him gifts, like his fancy new leg! Although Nikaidou’s fate is up in the air at the end of season 2, he’s certainly the “wild one” when it comes to the harem for sure. Somewhere in the middle of the pack is Koito Otonoshin from Satsuma. Koito is the easily-flustered type, as any time he’s in Tsurumi’s presence, he finds himself unable to stop speaking in Satsuma dialect, and at such a speed that it's hard for anyone except the ever-tolerant Tsukishima to keep up with. Koito also finds himself regularly indisposed at the idea of failing his beloved Tsurumi, fainting in odd and uncomfortable-looking poses at the mere thought of disappointing him. No matter how many times Tsurumi tells Koito that he can’t understand him, the hyperactive man simply speaks faster! Koito is certainly the overly-proper and easily-flustered harem member, the one who can barely exist in the same room as their target of affection, and easily wilting at any direct contact or even attention from them, and the dismay felt at possibly disappointing their beau driving them to extreme measures; after all, not many people would leap onto a propeller plane and swordfight to the death on its frame simply because they didn’t want to disappoint someone! Koito isn’t the only one that’s hopelessly devoted with Tsurumi, though, because season 2 latecomer Usami really takes the cake for being almost obsessed with pleasing Tsurumi, nearly costing him his life in the process! Although not much is known about Usami (not even his full name! ), he nearly dies horrifically in Abashiri prison to simply remark that he’s upset because Tsurumi will be mad at him. 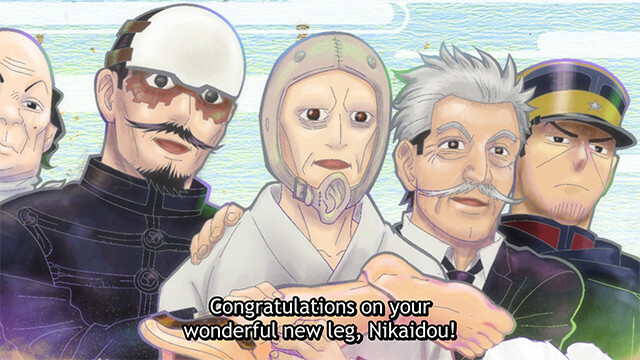 Usami even takes his punishment in pride, as Tsurumi initially draws two running man figures onto Usami’s distinctive birthmarks… which, as the Golden Kamuy extra Douga episodes show, became permanent tattoos at Usami’s request! Usami seems the type of harem character who would do anything for their beloved, even sacrificing their own life, and the unusual-looking man certainly makes an impression in his few appearances. Quite a few of the other 7th Division members that meet unfortunate ends or appear singularly seem to share similar zeal for Tsurumi’s attention and approval, but Usami really takes the cake in some regards. Of course, not every person in a harem has to be seemingly lost in love; in fact, some members might even look for some distance, either because they become disillusioned, or simply because they realize they need to better themselves before they can worry about pursuing love. Ogata Hyakunosuke is certainly the former, revealing himself to be a snake, simply going with whatever will get him the result he desires personally, and abandoning Tsurumi when he’s no longer convenient. Ogata is pretty selfish, so it isn’t surprising that he’d fall out of the harem, but even he found himself once attracted to Tsurumi’s sphere of influence for his help in taking care of Ogata’s “family business,” let’s say! 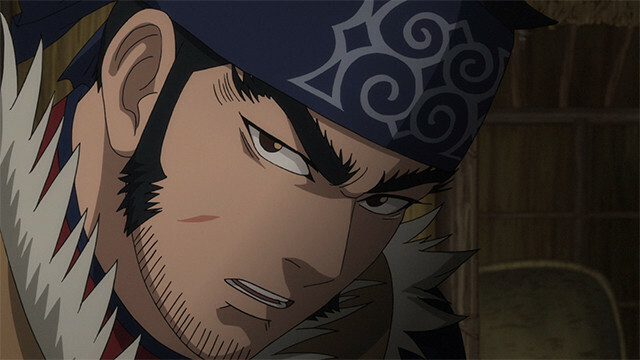 On the other end of the spectrum, Tanigaki Genjirou found himself engaging in a journey of self-discovery away from the 7th, trying to right the wrongs of his past and the ghosts of his Matagi upbringing through his interactions with Huci and the Ainu. Tsurumi welcomes Tanigaki back happily at the end of season 2, unlike Ogata, meaning that Tsurumi seems to be quite willing to accept that sometimes, you just have to let things go before you know what they mean to you! Not every member of the harem is a 7th Division member... or totally sane. Rounding out the cast, and taking the yandere spot quite easily, is the misunderstood fashionista Edogai Yasaku. Although his fake skins will live on with Tsurumi, the poor taxidermist met his end while trying to bring his beloved Tsurumi his hard work. Edogai devotes himself entirely to Tsurumi, even going so far as to create a replica of him to help ease the pain of being separated! 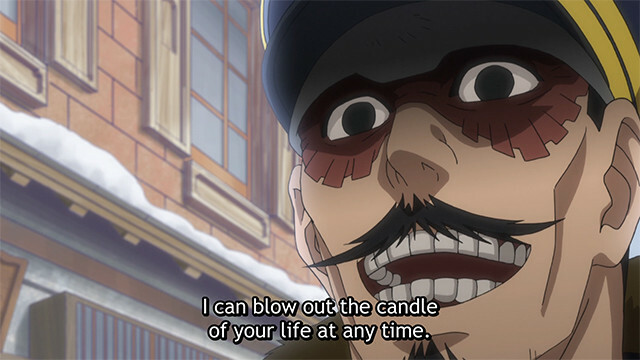 Edogai certainly was an odd character, but it’s easy to see his love for Tsurumi drove him to come out of his own shell and find some purpose in helping Tsurumi on his quest. 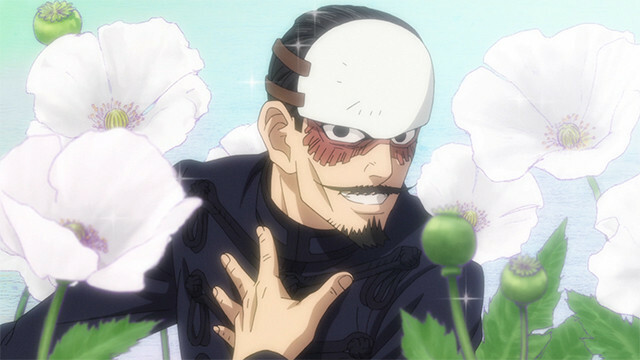 Of all of the members in his harem, Tsurumi seemed most interested in Edogai’s unique personality and skills, perhaps seeing something of a kindred spirit in him, bonding over their use of tanning techniques; many of the other members of the harem, save perhaps Tsukishima, would certainly have been jealous of the close bonds that Edogai and Tsurumi seemed to share! And there you have it: Tsurumi and his harem, proving that not only is Tsurumi a great harem protagonist, but that he has the harem roster depth to go toe-to-toe with most other harem show staples! Although we’ll have to wait to see how the Tsurumi harem will grow or change in the third season (Sugimoto and Tsurumi are now brain damage buddies after all! ), suffice to say it’s an easy call about who the greatest harem anime protagonist of 2018 is: Lt. Tsurumi, we love you! What’s your favorite thing about Lt. Tsurumi? Have a particular Tsurumi harem member you like the most? Let us know in the comments! It's ZOMBIE LAND SAGA x Macarons at Honey & Butter This Weekend!